Forest Schools originated from Scandinavia in the 1950’s, the approach promoted outdoor exploration and encouraged children to understand their surroundings. Forest School is an exciting way for children to experience outdoor education in a woodland setting. Forest school sessions are planned and risk assessed however the main ethos of Forest Schools is that it is child led and children are encouraged to lead their own learning. How will Forest Schools look at St Josephs’? What do children do at Forest Schools? Shelter and den building, leaf identification, animal tracking, exploring animal habitats, creating natural collages, safe fire building and lighting, woodland crafts, instrument making and knot tying. How do we keep the children safe? 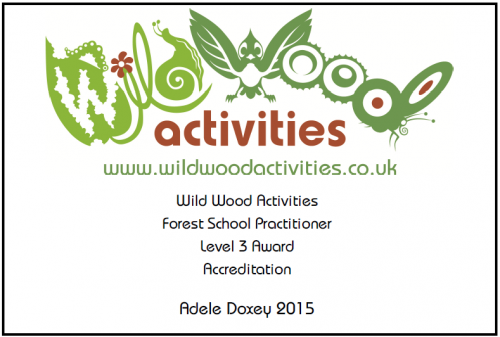 The forest school teacher (Miss Doxey) is fully qualified and is first aid qualified. The site will have been carefully assessed and the children will be given detailed training for all of the activities and they will always be fully supervised by an adult. Part of forest school is teaching children about risks and how to evaluate them. By allowing children to take these measured risks, we help to prepare them for making choices when they are older and teach them to be actively responsible for themselves, their choices and actions. Does the weather affect Forest Schools and what clothing should children wear?